Now, I have to preface this with the fact that Sony has said there are no current plans to bring the XZ2 Premium to Canada... that being said, nothing is permanent. And between now and 'summer 2018' there could be some changes. I'm excited for this one, hope it does come here. Qi, kickass camera. Sounds good to me, just wish it was 18:9. 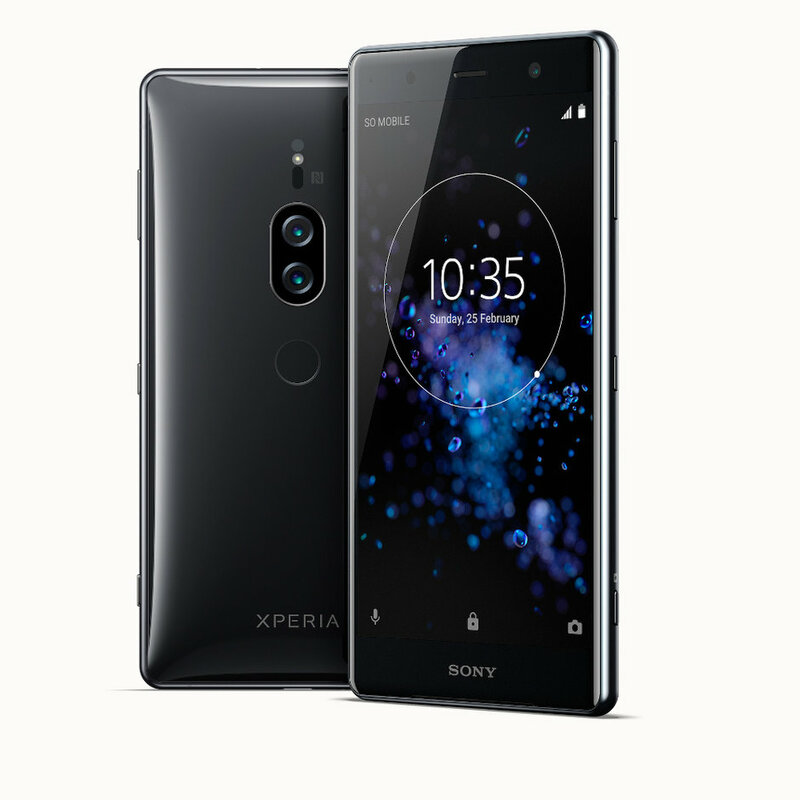 San Mateo, California, April 16, 2018 – Sony Mobile continues to push the boundaries of innovation with the new Xperia XZ2 Premium, featuring one of the most remarkable cameras ever made in a smartphone. Xperia XZ2 Premium boasts the world’s highest ISO 12800 sensitivity for video recording in a smartphone, as well as ultra-high sensitivity 51200 for photosii, enabling ultra-low-light capture previously only seen in interchangeable lens cameras. The advanced camera technology on Xperia XZ2 Premium is thanks to the new dual sensor system in the Motion EyeTM Dual camera and AUBETM fusion image signal processor that captures more than the human eye can see. With XZ2 Premium, you can also film like a pro using 4K HDR Movie recording and play it back in the palm of your hand on the 4K HDR display, showcasing your favourite moments in crystal-clear detail and eye-popping colour and contrast. It’s the only smartphone to bring you true professional camera quality plus a premium entertainment experience, all powered by the ultimate in processing power with the Qualcomm® SnapdragonTM 845.
timeless photos in monochrome with a smooth gradation between black and white. The camera’s low-light capability – as well as its artistic effects – are available for viewing with the live view-finder for an accurate representation of your subject. The Motion EyeTM Dual camera also features more professional features, such as 4K HDR Movie recording, so you can capture reality in incredible detail and true-to-life colour. Plus, you can record 960fps Super slow motion in HD or Full HD to make highly dramatic videos. Xperia XZ2 Premium also offers one of the best front-facing cameras on a smartphone with its 13MP, 1/3.06” low-light sensor and display flash – for outstanding selfies in any light. Xperia XZ2 Premium has the ultimate display with a huge 5.8” 4K HDR (that’s 11 percent larger and 30 percent brighter than our previous 4K HDR display), so you can immerse yourself in your favourite movies and content in crystal-clear detail and eye-popping colour. Thanks to this display you can enjoy your own 4K HDR content (since this is the only smartphone capable of both creating and viewing 4K HDR). Plus, whether you’re watching a blockbuster or a video on YouTube, Xperia XZ2 Premium uses Sony’s BRAVIA® TV technology, X-RealityTM for mobile, to up-convert content to near High Dynamic Range (HDR) for more cinematic contrast, colour, and clarity. Not only can you see your movies with powerful realism, but you can even feel them thanks to Sony’s brand new Dynamic Vibration System that analyses audio data and lets you feel the action in your hands, bringing your movies, games, and videos to life. Xperia XZ2 Premium creates a cinema-like audio quality when you’re sharing your favourite videos with your friends thanks to its powerful front-facing stereo speakers. Featuring S-Force Front Surround, they’re our loudest Xperia speakers ever. Sony’s audio expertise also enables sound enhancing technologies for Xperia, such Hi-res Audio, DSHEE HX, and LDAC. Xperia XZ2 Premium’s cutting-edge technology is packed into a fluid and elegant design. It has a 3D glass surface that surrounds the exterior to create a seamless finish that’s comfortable to hold and easy to carry. With an exclusive glass and metal finish, this smartphone not only looks beautiful with a premium feel but is also designed to be durable thanks to Corning® Gorilla® Glass 5 on both sides. Xperia XZ2 Premium is IP65/IP68iv certified to withstand splashes and spills. It will be available in two contemporary colours: Chrome Black and Chrome Silver. Enjoy industry-leading performance with the cutting-edge Qualcomm® SnapdragonTM 845 Mobile Platform with X20 LTE. You will get immersive user experiences at lightning-fast connection speeds (up to 1.2Gbps) with the second generation Gigabit LTE solution. XZ2 Premium has 6GB RAM for additional speed and efficiency. Xperia XZ2 Premium is built to keep you going all day with its high-capacity 3540mAh battery and Xperia’s useful battery features, including Smart Stamina and STAMINA mode. Battery Carev and Qnovo Adaptive Charging technology help the battery stay healthy to give you a longer battery lifespan. Qi charging is enabled to power up effortlessly and works with the new wireless charging dock (WCH20vi) and other compatible Qi chargers. Xperia XZ2 Premium is available globally from Summer 2018 and will ship with AndroidTM 8.0 Oreo.